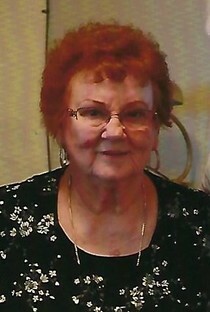 Obituary for Betty Jean (Leonard) Waller | Davie Funeral Service, Inc.
Betty Jean Waller, 74, passed away at her home in Woodleaf Wednesday, January 30, 2019. She was born in Davidson County on September 22, 1944, the daughter of the late Robert Elmer Leonard and Helen Berniece Bates Leonard, and she attended Lexington High School. Mrs. Waller was the widow of the late John Edwin “Buddy” Waller, Sr. to whom she was married for 37 years prior to his passing in 2014. They started the Woodleaf Speedway as a place for kids to enjoy racing in a safe environment. Mrs. Waller was also an area Avon manager for 15 years and delivered the Salisbury Post for 20 years. Survivors include two sons, Robert Ginn, Sr. (Kelly) of Woodleaf and Carl E. Ginn, Sr. (Susan) of Lexington; one daughter, Tamara Ginn Morrison of Woodleaf; eleven grandchildren and eleven great grandchildren; an aunt, Reba McCarn and a special friend, Lori Cobb. Visitation with family and friends will be from 2:00 until 5:00 PM Sunday at Davie Funeral Chapel in Mocksville. The Celebration of Life Service will be conducted at 1:00 PM Monday at Davie Funeral Chapel with Rev. Tim Sink officiating. Interment will follow in Forest Hill Memorial Park in Lexington.